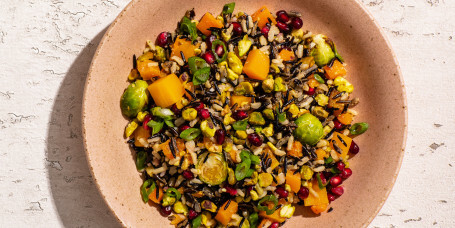 Who said salads have to be boring? 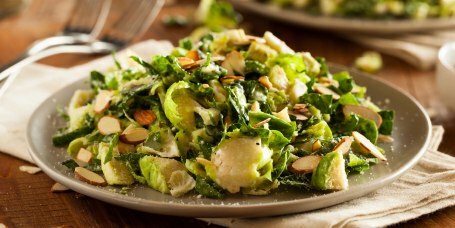 Find delicious, filling salads that will make you crave eating greens. 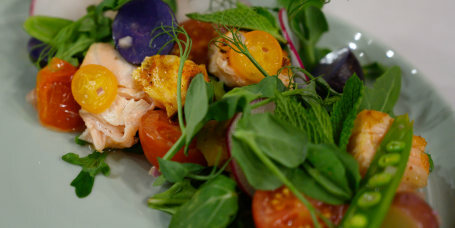 Sunny pairs a simple green salad with roasted salmon for an easy and healthy dinner. 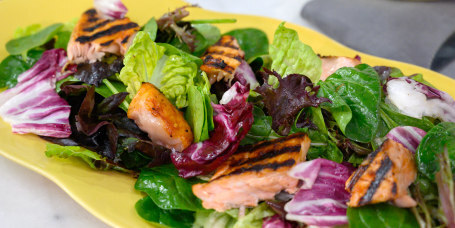 Top fresh greens with spiced salmon and citrus vinaigrette for a hearty and healthy salad. 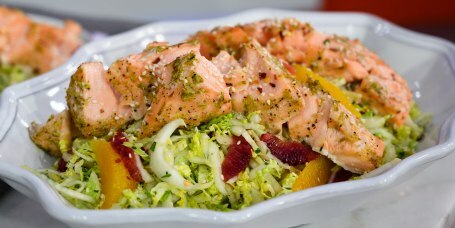 Crunchy cabbage, tender salmon and bright citrus come together to make an easy and healthy salad. 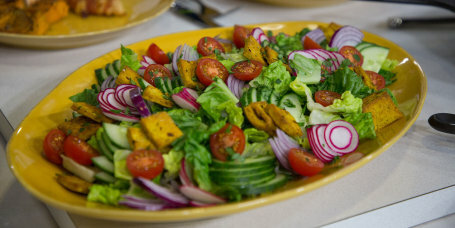 Panzanella salad is a perfect dish for any season of the year. 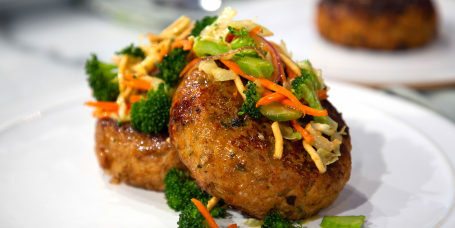 Just add in your favorite veggies for a unique twist each time! 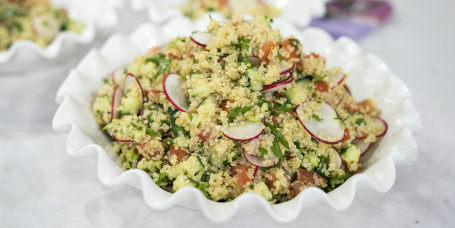 Whether you're entertaining a few friends or a large crowd, this easy dressing recipe is perfect for any type of seasonal salad. 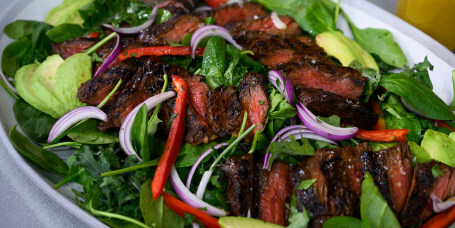 Maple syrup marinade and dressing give spicy steak salad the perfect hint of sweetness. 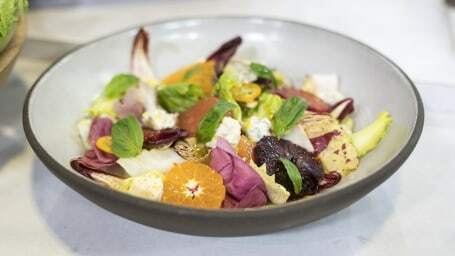 Fresh winter citrus fruits are the star of this brightly flavored and simple-to-assemble salad. 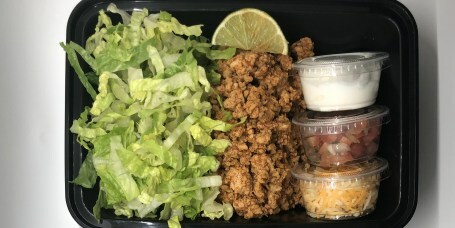 Cut the carbs out of taco Tuesday with Mexican-inspired turkey taco salad bowls. 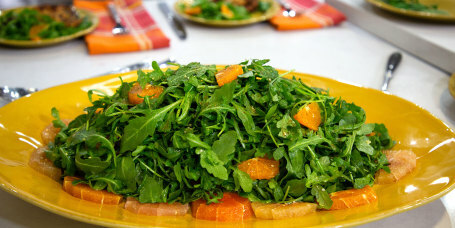 Start your Lunar New Year celebration with a fresh watercress, orange and walnut salad. 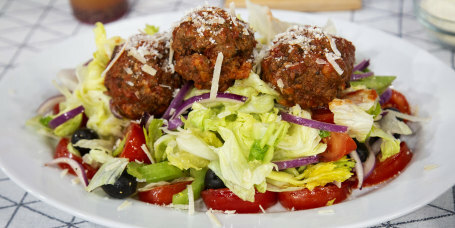 Giada gives salad an Italian twist with provolone cheese, Genoa salami and crispy orzo pasta. 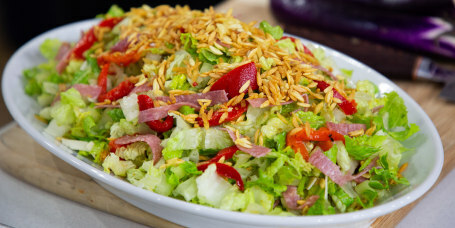 Anne Burrell creates and extra crunchy Asian-inspired salad with crisp veggies and chow mein noodles. 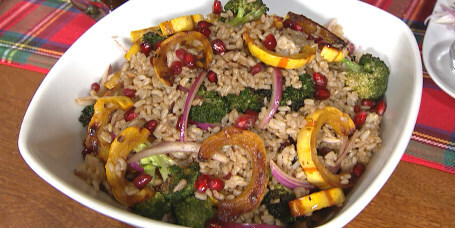 Pomegranate seeds and candied sunflower seeds liven up a broccoli, delicata squash and rice salad. 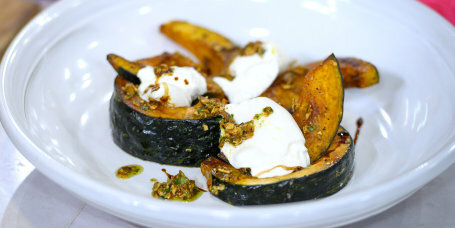 This salad is fall comfort in a bowl with roasted squash and burrata, whose richness is perfectly complemented by the tangy pumpkin seed salsa verde. 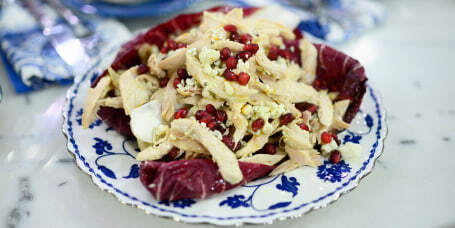 Clodagh McKenna shares a Roast Chicken Salad with Blue Cheese, Radicchio and Pomegranate recipe that's dressy enough for company. 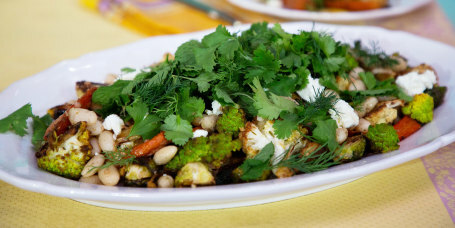 Samin Nosrat shares her recipe for her white bean and roasted vegetable salad from her Netflix show "Salt, Fat, Acid, Heat." 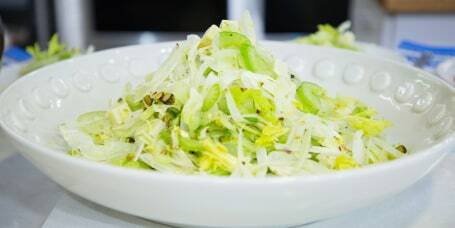 Serve up a simple-to-assemble shaved Brussels sprout salad to kick off your Thanksgiving. 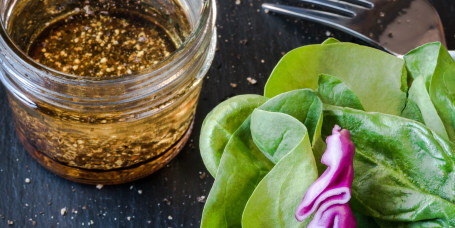 Simple green salad gets an easy upgrade with fresh veggies, tender herbs and a spicy vinaigrette. 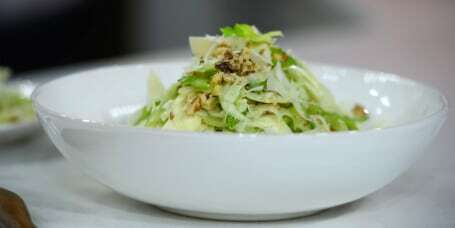 Make salad simple with just fennel, celery, walnuts, cheese and a drizzle of fresh lemon juice. 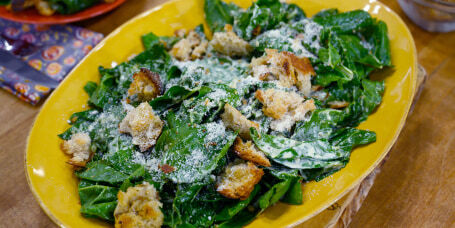 Caesar salad gets and exciting upgrade with garlicky homemade dressing, leafy Swiss chard and sourdough croutons. 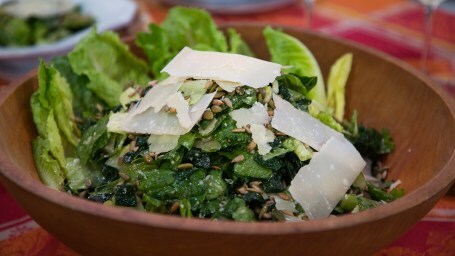 Bitter greens and sweet oranges complement each other perfectly in this easy salad from Ina Garten. 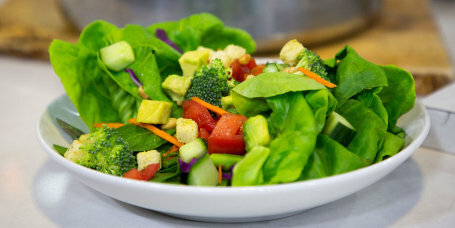 Change up your usual salad routine with Sandra Lee's stockpot mixed vegetable salad with avocado. 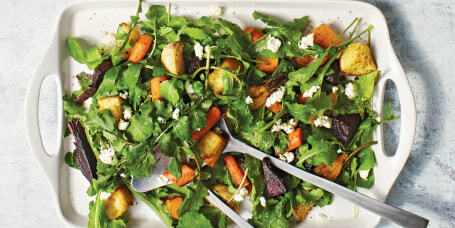 Add fresh citrus, za'atar spice and olives to arugula for a simple and flavorful salad. 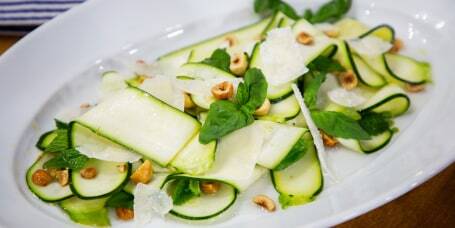 Self-dressing fennel and pecorino salad makes serving up a healthy starter super easy. 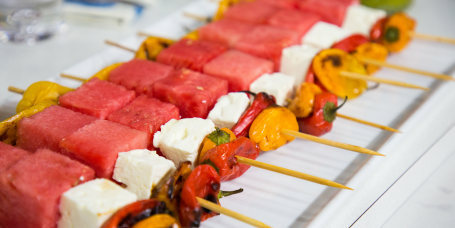 Thread sweet watermelon and briny feta on skewers and top with tangy vinaigrette for a fun way to eat salad. 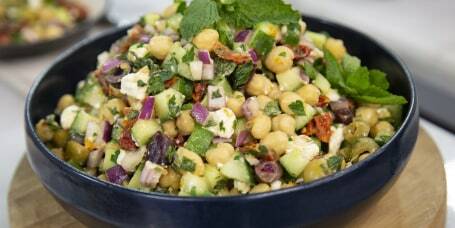 Fresh veggies, crunchy pita chips and spiced dressing combine beautifully in this Moroccan-inspired summery salad. 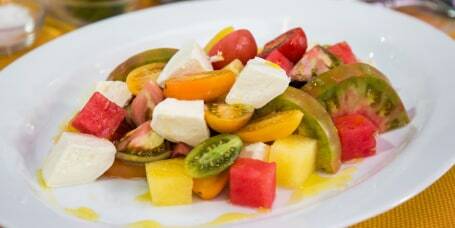 Ripe tomatoes, juicy watermelon, creamy mozzarella and fresh herbs come together for the ultimate summer salad. 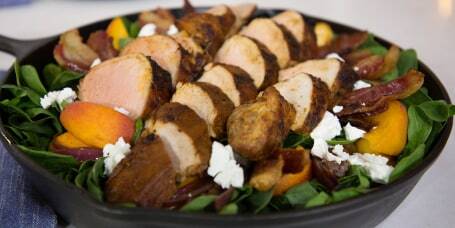 Serve up the heartiest salad ever with pan-roasted pork, fresh spinach, sautéed onions, bacon, feta and pickled peaches. 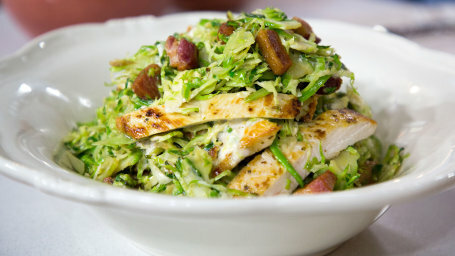 Crispy bacon cubes take the place of croutons in this warm, savory Brussels sprouts salad. 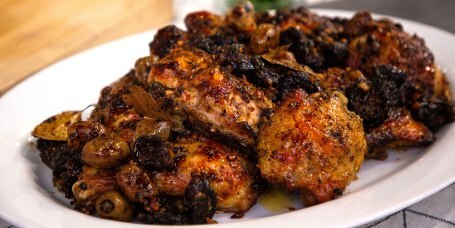 Don't break a sweat cooking dinner! 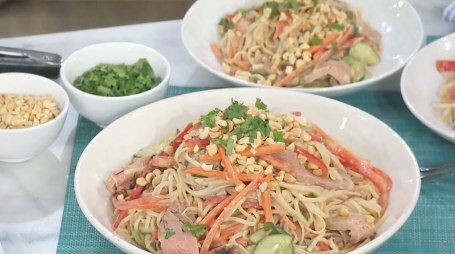 Throw this refreshing, cold noodle salad together for an easy meal. 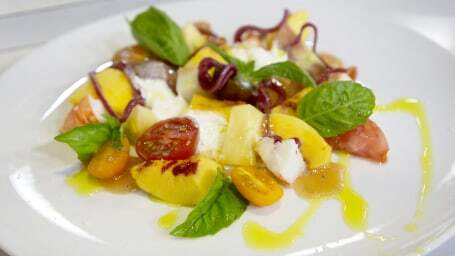 Pair fresh lobster with juicy peaches and tomatoes for a summery salad that's sure to impress. 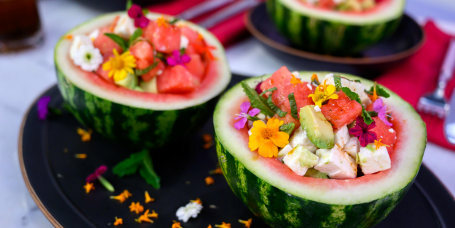 This salad is so fresh tasting and easy to prepare. 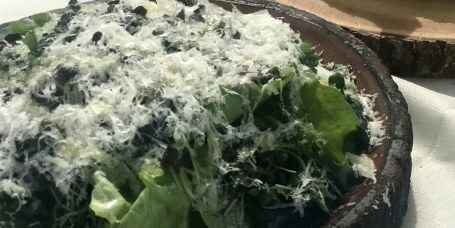 I like to make the dressing a day ahead so that it's even easier to assemble and serve. 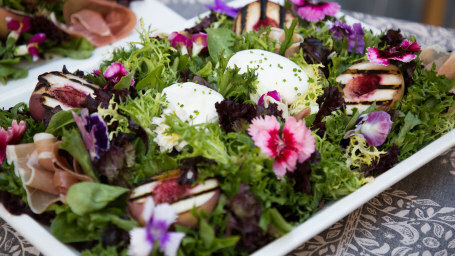 Serve a show-stopping salad with grilled peaches, creamy burrata and salty prosciutto at your next cookout. 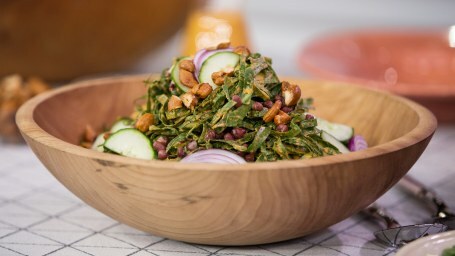 Creamy coconut dressing adds spice and sweetness to collard greens salad with candied cashews and crunchy cucumber. 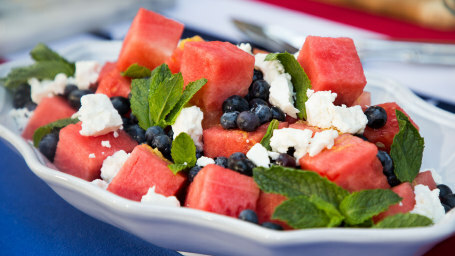 Juicy red watermelon, fresh blueberries and briny feta cheese come together to make a delicious and patriotic starter. 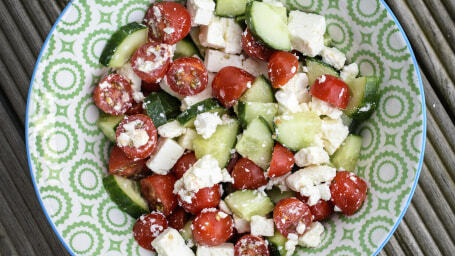 Add freshness to your cookout with a stunning summer tomato and cucumber salad. 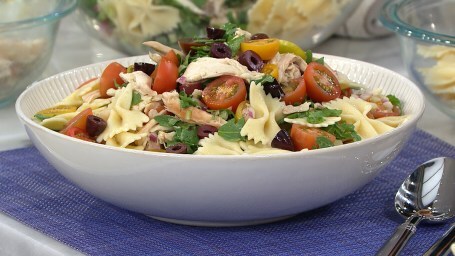 A store-bought rotisserie chicken transforms simple pasta into an easy summer main dish.